Overcoming Video Production Objections: “I hate how I look/sound” | Rewatchable, Inc.
Vanity. It’s real, it’s powerful, and as a marketer using business video, it’s a pervasive and understandable objection that you’ll need to overcome with each your victims, er, subjects. The camera makes you look fat. High definition shows off every wrinkle. The good news? As long as you’re shooting in a controlled environment, you can address every one of those concerns. The old nugget about the camera adding ten pounds? In narrative pieces where you’re choosing lenses and lighting for framing/storytelling and not flattery, that can be true. In business video production, you have the luxury of choosing your lenses and lighting for flattery, and can actually use lenses, filters and lighting to make your subjects appear thinner than real life. 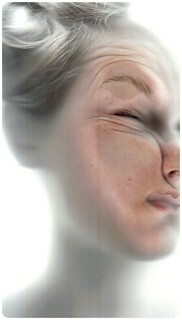 Are your subjects concerned about high definition highlighting every little wrinkle on their face? Physical filters and digital processing can reduce the appearance of wrinkles better than any over-the-shelf makeup or lotion. For bonus points, you can even use post-production effects to remove blemishes. As for your subjects worrying about their sound of their voice, education is your best friend. Turns out, when you hear a recording of your own voice, you’re not hearing the same version of your voice that you hear when you speak, since you aren’t hearing your bones vibrate (weird, right?). Also, to help make sense of the world around you, your brain selectively cancels parts of the frequencies of your own voice. In essence, you hate your own voice because you’re seeing/hearing a different voice. It’s not you, but it IS you, which is disorienting for anyone. But not bad, and not nearly as disconcerting once you understand what’s going on. Feeling nervous about going in front of the camera is perfectly normal, but information is power, and both an understanding of how to look and sound your best, and knowing that the person behind the camera is actively taking steps to capture the most flattering possible image and sound should help you to overcome vanity-related objections with any business video subject.